HIGHLAND PARK / DEERFIELD – The Board of Education of Township High School District No. 113 approved a separation agreement with the district’s superintendent, Dr. Christopher Dignam, at a May 22 special meeting. Dr. Dignam’s resignation will be effective June 30. The board wished Dr. Dignam the best of luck with his future endeavors. In the coming weeks, the board will move expediently to discuss and develop a transition plan for the 2018-2019 school year along with a timeline and search process to find District 113’s next superintendent. Dr. Dignam, addressing his upcoming departure, stated, “Over the past couple of years, our district has experienced much success and growth. As a community, we came together last school year to develop District 113’s first Strategic Plan. This school year, we officially adopted and began implementing the plan, as well as our Communications Plan, to articulate our common vision, mission, beliefs and values as a community. We also successfully completed our $114 million referendum project during the fall of this school year for providing all students access to high-quality school and campus facilities. We have made it our goal to engage in articulation efforts with Districts 106, 109, and 112 to improve our curricular and social/emotional supports for all learners and will continue doing so via personalized learning to better support all students. Additional efforts that are underway that support student learning and improving outcomes for students at all levels include the implementation of a Districtwide Learning Management System (LMS) in the 2018-2019 school year and our partnership with ECRA to personalize learning for our students. 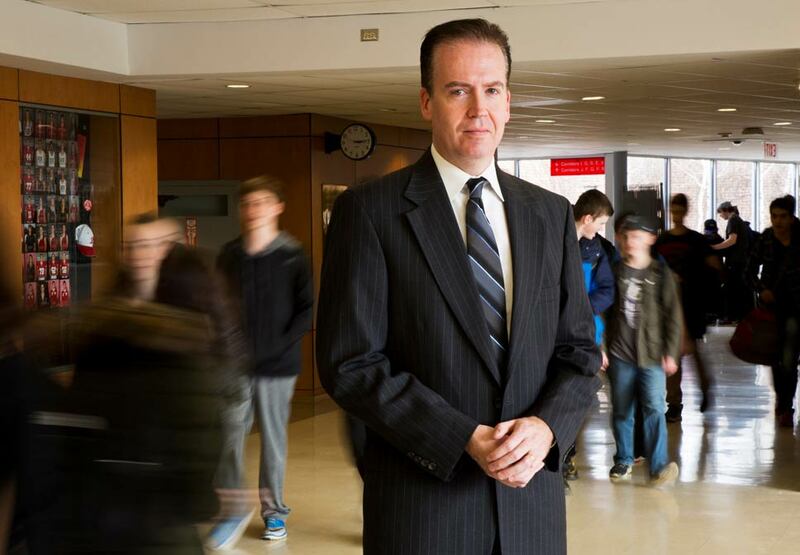 Dr. Christopher Dignam in a photo taken shortly after he was named superintendent of District 113, which manages Highland Park HIgh School and Deerfield HIgh School. PHOTOGRAPHY BY JOEL LERNER/JWC MEDIA.